Reliance Jio customers get up to 750GB of data, unlimited voice, SMS and access to Jio apps for 1 year, absolutely free. 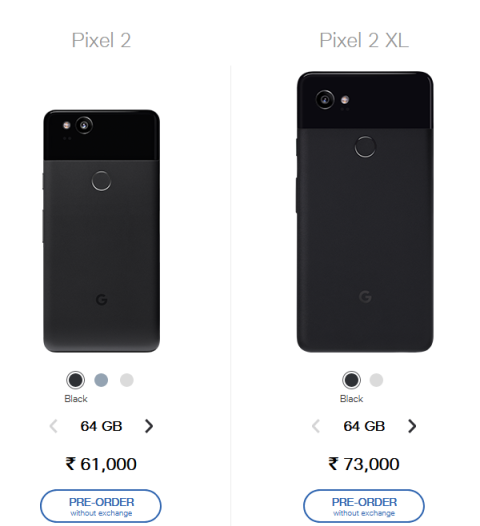 Bank offers on the Pixel 2 smartphones include rupees 8000 cash back. 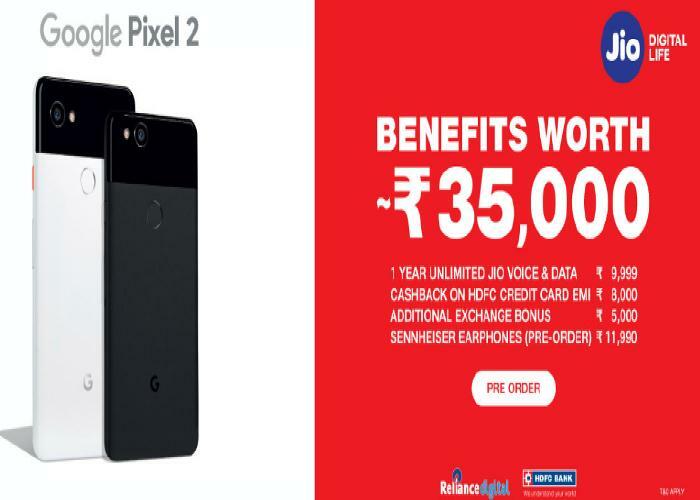 If you choosing the EMI option on HDFC Bank credit cards and no cost EMI offers that start at rupees 3389 per month and a free Sennheiser Bluetooth Headset worth rupees 11990. In addition to Jio also offering extra rupees 5000 off when you exchange select phones. These offers will be available at Jio official website or reliance digital store and others.